When I got this product to review, I though there is no way I am ever going to need this. I don't wear gel manis. What the heck am I going to do with this? Well, once I played around with them, I got to see how perfect they are for me. 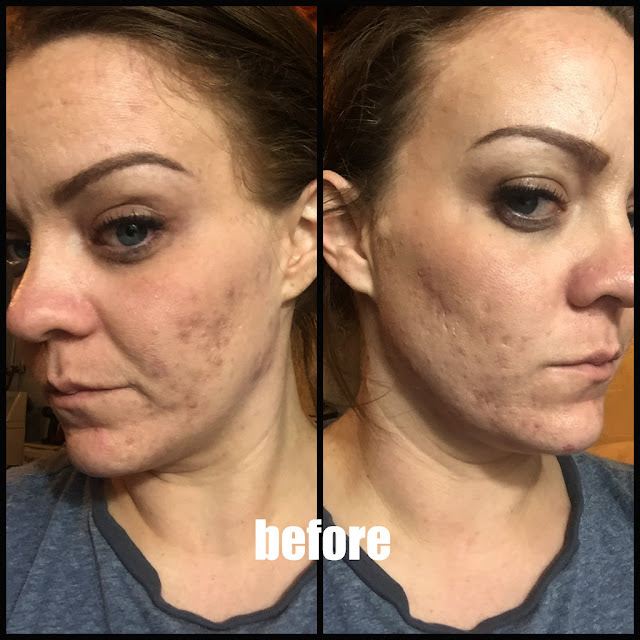 Read more to see how I used them and how they may work for you, too! Nail Bliss NAILGUARD was made to protect your nails from the harmful acetone soak to remove gel nail polish or just protect your nails in general. Now, I don't wear gel polish so I wouldn't be using these for this. I would be using them for regular polish application and with glitter! You all know how much of a pain it is to remove glitter polish.With NAILGUARD, it literally makes it a snap. 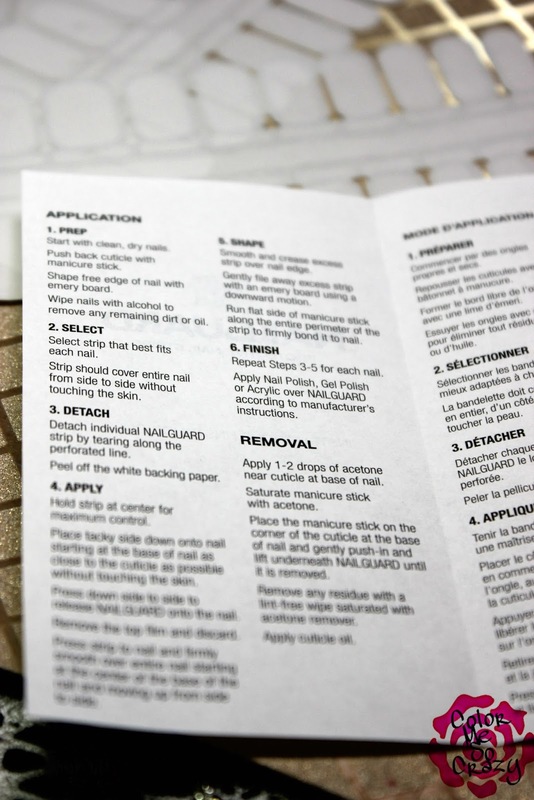 The NAILGUARD pack comes with 54 nail strips and an easy application guide. You can buy these exclusively from Sally Beauty Supply for only $3.99. 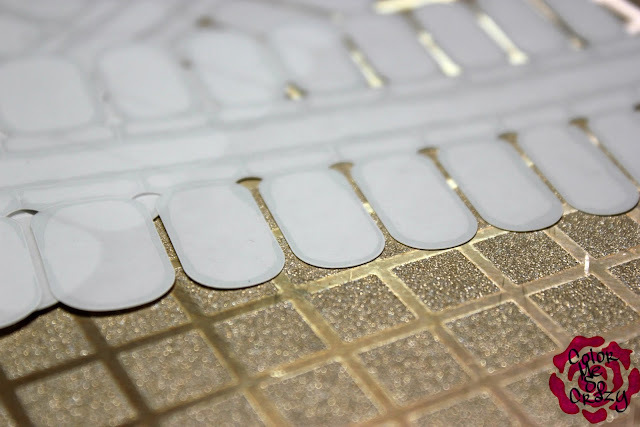 They provide instant protection by shielding your natural nail from direct contact with anything you put on. They also give a little added strength by putting on an additional layer to your nail. 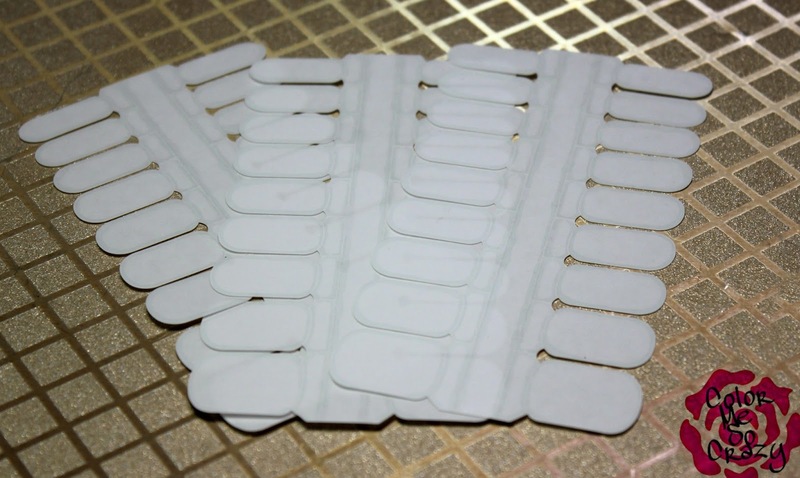 So, lets check out how to use the NAILGUARD nail strips. First, select a size that matches the size of your nails. Now, you all know I have super tiny fingers so I was pleasantly surprised when I was even able to find a size that fit my pinky. Make sure you nail is free from polish or dirt by cleaning it off with remover or alcohol. You want to make sure you nails are clean and dry and there is nothing obscuring a good, smooth fit with the nail strip. Select your strip and peel off the bottom plastic cover. Press onto the nail and pull it taught so it covers the entire nail. 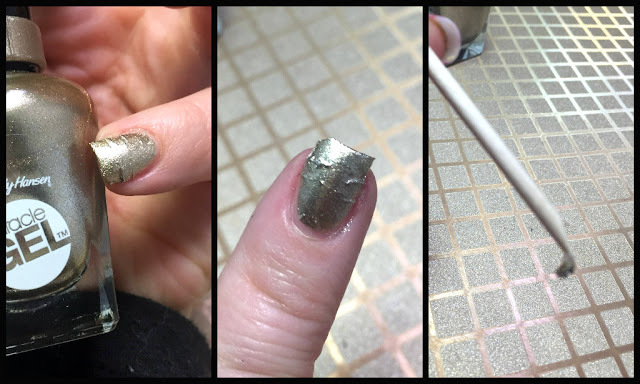 Trim the free edge (if you have any) that is hanging off the end of your nail. I will say that if you have longer nails, they may not fit properly. Measure it out before you buy them. Next, choose your gel or glitter polish that you want to paint your nails with. Paint the nail and top coat as usual. 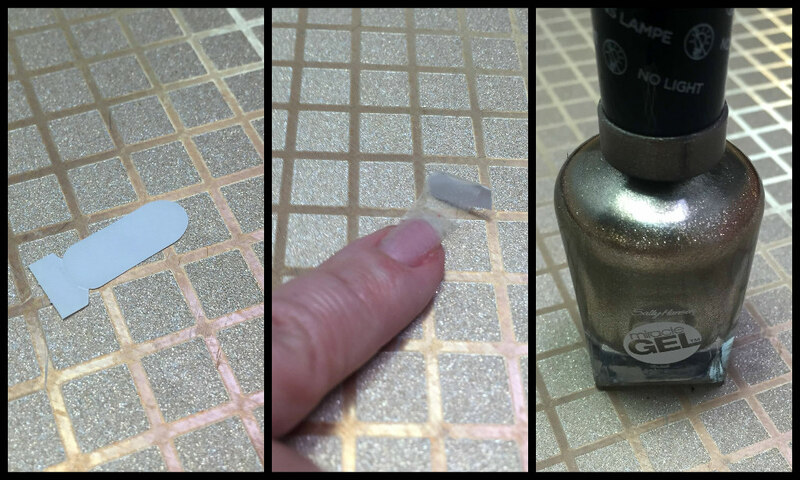 When you are ready to change you polish, you just scrape it off by finding the edge of the nail strip. I will say that they are a little tricky to get to lay flat. They apply similar to full nail stickers. Once you get them on, you really have to work to get them to lay flat especially if you have curved nails. As you can see, I struggled a little to get all the wrinkles out and have it lay flat. Overall, I really like these. Instead of scrubbing my glitter off my nails, I just pull and peel. They are perfect for us bloggers; especially when swatching glitters or a lot of polishes. Instead of constantly applying and removing polish and damaging your nails over and over again, you just apply and pull off the polish. For only $3.99, this Nail Bliss NAILGUARD is a great deal to protect those lovely nails of yours.